For the past couple of centuries, Czech and German-style lagers have fit that bill stateside. It’s been a market dominated by beer giants like Bud, Coors, and Miller, which all sell variations on the same light, fizzy beer water. Despite the craft beer renaissance, nine out of 10 beers sold in America are still lagers, while nine out of 10 craft beers sold in America are ales. But lest we forget: there is a thirst-quenching ale in the craft beer world — crisp, clear, golden-hued, and slightly bitter — that checks the same refreshing boxes. It’s a German style called Kölsch, and it gracefully straddles the line between lager and ale. It’s made with top-fermenting ale yeasts, but it is cold-conditioned for a month or two, like a lager. It’s sort of the pilsner of ales — except a bit more rounded, less bitter, and usually lower in alcohol. There are quite a few places to buy imported German Kölsch in the Valley. When I chatted with Chris Sellers, brewery manager at The People’s Pint Brewery in Greenfield, he recommended the Reissdorf and Gaffel brands in particular. “A number of bars around the Pioneer Valley sell Reissdorf Kolsch,” he said. Sellers recommends a trip to the Lady Killigrew Café at the Montague Book Mill on a warm sunny day, where you can enjoy a Reissdorf Kolsch at one of the outside picnic tables. Kölsch originated in the city of Cologne (which, in German, is spelled Köln). The Germans are still a bit touchy about brewers outside of Cologne using the term ‘Kölsch’ — much like the French are about champagne-like wines made outside of the region of Champagne. But the larger issue for American craft brewers has been that, until a few years ago, consumers didn’t seem interested in Kölsch-style American ales. That seems to be changing, as local brewers are putting more stock in paler, clearer, more delicate styles. Despite the New England haze craze, craft beer can go anywhere from here, and the road isn’t necessarily paved with aggressive hops. New City Brewery in Easthampton has their Connecticut River Kölsch in rotation every two months or so. Bright Ideas Brewing in North Adams makes one, and Hitchcock Brewing Company in Whately will likely make one later this year. 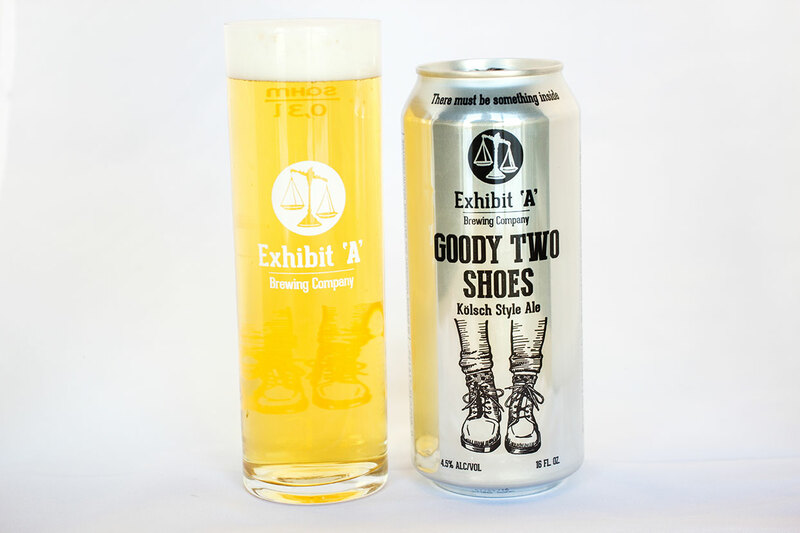 One of the best local Kölsch-style ales is Goody Two Shoes, canned year-round by Exhibit A Brewing Company in Framingham. This ale won a silver medal at the 2016 Great International Beer Festival, and has a dedicated following in the Valley. Matthew Steinberg, co-founder and head brewer at Exhibit A, says the Kölsch style first captivated him during a trip to Cologne as a teenager. 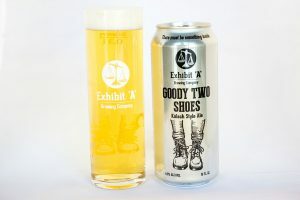 Exhibit A uses Valley Malt to brew all of its beers, including Goody Two Shoes. Aside from that, Steinberg insists on brewing his Kölsch as authentically as possible, using German hops and a traditional conditioning process — which he says can take from five to eight weeks. Steinberg wants any potential German visitors to the Exhibit A taproom to appreciate his authentic approach to Kölsch. He feels the American craft beer scene has largely overlooked this beer style over the past 20 years — or, occasionally, tampered with the recipe too much, giving consumers a mistaken impression of the traditional style. Although Exhibit A also makes styles including IPAs, porter, sours, and stouts, Steinberg says that Goody Two Shoes is the top-selling beer in its taproom on weekdays, when locals stop in more often than out-of-town beer tourists. Indeed, selling Kölsch seems a pretty good way of getting craft beer newbies through the front door. 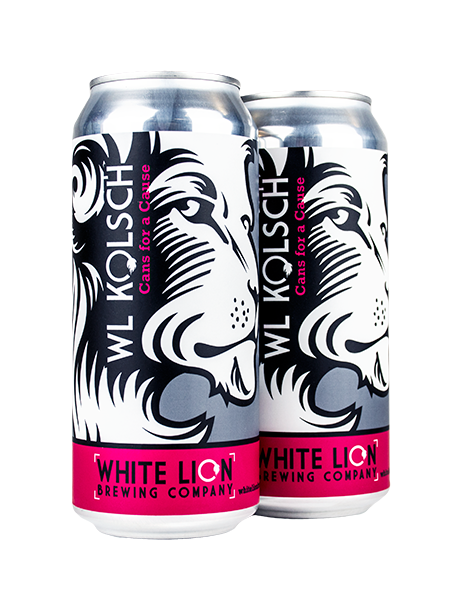 Springfield’s White Lion Brewing Company did something special with their Kölsch-style ale this past year, says founder Raymond L. Berry, Jr. On September 15, in collaboration with the West Springfield Lions Club, the brewery launched its Cans for a Cause campaign, in which a portions of proceeds from sales of White Lion Kölsch benefit non-profit organizations dedicated to preventing, treating, and curing breast cancer (the campaign will continue for at least one year before another cause is selected). The campaign has raised several thousand dollars so far. Berkshire Brewing Company (BBC) makes a highly enjoyable Kölsch-style beer called Gold Spike Ale, which VinePair recently described as “criminally underappreciated.” Jason Hunter, who runs BBC’s systems and operations, says that after more than 15 years of appearing only in kegs and 22-ounce bottles, Gold Spike will be available in 16-ounce cans for the first time this summer. It’s a misunderstood style, Hunter says. “Most people haven’t even known what it is. For many years, we pulled ‘Kölsch’ off the label, because it wasn’t resonating with people. Now, there’s a sudden resurgence in interest,” thanks in part to the growing overall popularity of lighter, easy-drinking craft lagers (like that Village Lager at Night Shift). “IPAs aren’t going anywhere,” Hunter says. “Big, hoppy beers are great. But it’s nice to drink a beer you don’t have to think too much about. Western Mass will have more taprooms than ever this year. Two Weeks Notice Brewing Company is proceeding with a new space in West Springfield. BBC is in talks to add a taproom in South Deerfield. 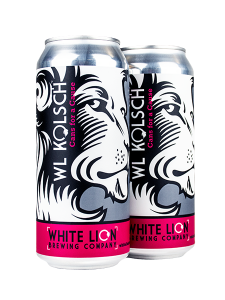 White Lion is hoping to make an announcement this spring about opening a taproom in downtown Springfield. And Greater Good Imperial Brewing Company, which I profiled last fall, now has their taproom up and running in Worcester. Add to that a new brewery in Worthington and another in Shelburne Falls, and 2018 is looking pretty refreshing. Check the recent online round-up by Mass Brew Bros. for a full breakdown of statewide openings slated for this year. Bright Ideas Brewing in North Adams has hired a new brewer: Danny Sump, a former cellarman and assistant at Green Flash and Wicked Weed. Sump will be moving up from Virginia to begin his new job in the Berkshires on April 23. For several weeks he will work alongside interim head brewer James Hardman, who came to Bright Ideas last year from Foundation Brewing Company in Portland, Maine. One of Sump’s first major brews will be a limited-batch kettle sour collaboration with Hermit Thrush Brewery in Brattleboro. That sour will be sold at the June 15 performance by The Decemberists at MASS MoCA, which is right next door to Bright Ideas. Sump succeeds brewer Chris Post, who helped to open Bright Ideas in 2016, but who has returned his focus to his own brewery, Wandering Star in Pittsfield, which is scaling up its canning operation. Congratulations to Rustic Brewing Company in Springfield, whose Hop Blind IPA won this year’s March Madness-style regional blind tasting of New England IPAs. An exciting beginning for a new brewery, and a good sign that Hampden County has a lot of good craft beer on the way.